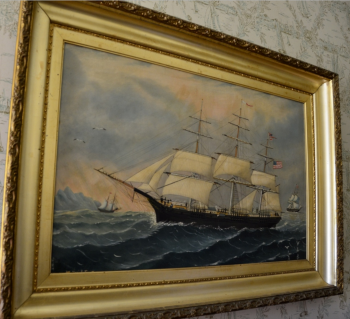 Champlain (#) (1874-1875), 216-foot clipper ship built at East Boston and running out of New York that sank at the North Farallones on June 14, 1875, killing Captain Reuben Merrill (1818-1875) and one crewman. As the ship was sinking, Captain Merrill remained on board the Champlain to ensure that all of the crew made it safely into the lifeboats. 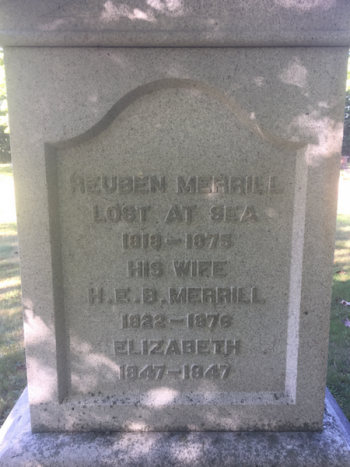 Just as he was entering a lifeboat himself, Captain Merrill was struck by the Champlain’s standing rigging and knocked overboard. His body was never found. 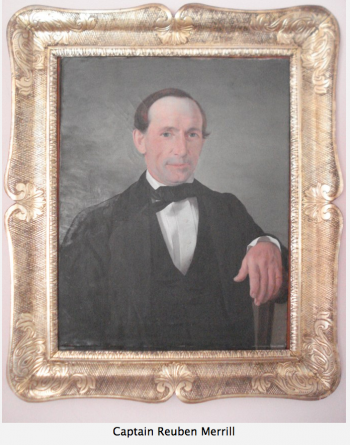 Captain Reuben Merrill’s eldest son and first mate, Osborn Merrill was on board and witnessed his father’s death. After that, Osborn and the rest of the Merrill family quit the maritime industry and never took to the sea again. The survivors were picked up by the schooner Mendocino. This page was last edited on 18 July 2017, at 18:57.